Many of us have pleaded for “five more minutes” when struggling to get out of bed in the morning. Compared to Jim Preston’s (Pratt) predicament in this sci-fi romance, that’s nothing – Jim is awoken 90 years too early. He is among the 5000 passengers on the starship Avalon, bound for the colony planet Homestead II. A malfunction in his hibernation pod results in Jim’s 120-year-long slumber being cut short. Doomed to live out his days in solitude aboard the Avalon and with no way of returning to hibernation, Jim only has the android bartender Arthur (Sheen) for company. That is, until another passenger awakes: Aurora Lane (Lawrence), a writer from New York. Jim and Aurora fall in love – it’s not like they have too much else to do. However, the hibernation pod malfunction is only the first warning sign as it soon becomes apparent that the state-of-the-art ship is in jeopardy, putting the lives of Jim, Aurora and their fellow voyagers at risk. Jon Spaiht’s screenplay for Passengers landed on the 2007 Black List of most-liked unproduced scripts in Hollywood, with Keanu Reeves and Reese Witherspoon once attached to the project. It’s safe to say that Lawrence and Pratt have significantly more star wattage. They were the top-earning female and male movie stars of 2014 respectively, and while making the promotional rounds, the pair has given some entertaining interviews. While there’s a novelty in the premise of a sci-fi film carried mostly by two actors, Passengers ends up feeling too familiar. With Oscar-nominated director Morten Tyldum at the helm, it is solidly assembled, but the romance central to the film borders on the simplistic. There is conflict and a rom-com-style big misunderstanding writ large, but the film relies more on its stars’ charm than its wit. Passengers’ gleaming, futuristic aesthetic is pleasing, if not terribly ground-breaking. The corkscrew-like exterior of the Avalon is a departure from the traditional bulky star cruisers from most sci-fi media, but the interiors conform to expectations of Apple-esque sleekness. The Avalon is meant to be a space-borne luxury cruise liner, with the passengers spending the last four months before arrival to Homestead II enjoying its plush surrounds. This is one of several ways in which Passengers resembles WALL-E. Production designer Guy Hendrix Dyas, known for his work on Inception and Interstellar, does some beautiful work here and is successful in making the Avalon seem like an awesome place to take a vacation. Infinity pools have got nothing on infinity-and-beyond-pools. Both Lawrence and Pratt are interesting case studies in stardom. It’s affected the former more than the latter so far, but there are large swathes of moviegoers who find themselves put off by a perceived sense of ‘trying too hard’ projected by both actors. Lawrence has spoken up about pay inequality after being paid less than her male co-stars in American Hustle, and secured a $20 million salary for Passengers – $8 million more than Pratt, despite Pratt having more screen time. Behind the scenes politics aside, they do make for perfectly-matched romantic leads, and their immense chemistry helps the film overcome some contrived moments of character development. Rodrigo Prieto’s cinematography also makes them both look as glamorous as ever. Michael Sheen’s Arthur the android bartender deliberately invokes Lloyd, the ghostly bartender in The Shining. The character is a clever creation, Arthur’s polite friendliness belying an unsettling uncanny valley vibe. Despite its fantastical setting, the film’s depiction of loneliness and despair resulting from isolation and the desire for meaningful companionship is relatable, if not exactly profound. Thomas Newman’s score is frequently guilty of being too obvious and intrusive, loudly dictating what the audience should feel rather than hinting at it. It’s a bit of a shame, given how many of Newman’s scores have been lyrical and moving. The posters for Passengers feature the ominous tagline “there’s a reason they woke up”. This reviewer was hoping for a mind-bending conclusion and an audacious reveal of a massive conspiracy that Jim and Aurora get caught up in. There are flashes of wit in Spaiht’s screenplay – why yes, Sleeping Beauty’s real name is Aurora – but when it is explained why Jim’s hibernation pod opened early, this reviewer was disappointed. Passengers promised a marriage of fiendishly clever sci-fi with a tearjerker romance, but only takes audiences partway to that destination. Summary: There was never any doubt that Jennifer Lawrence and Chris Pratt would work wonderfully off each other, but past its sci-fi context, it’s a bit of a let-down that Passengers is as straightforward as it is. 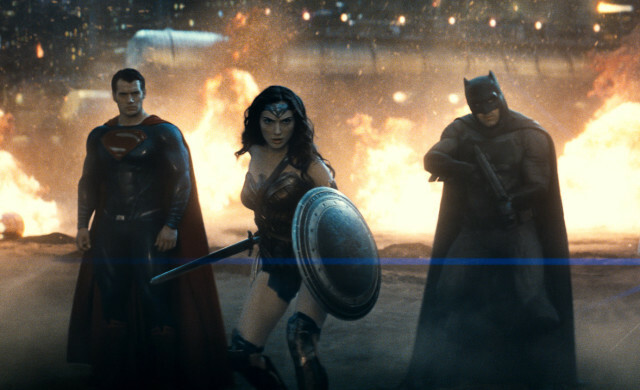 Superheroes collide with shattering force in the second film in the DC Extended Universe (DCEU). It has been 18 months since Superman/Clark Kent’s (Cavill) battle with General Zod in Metropolis. Clark has moved in with fellow reporter Lois Lane (Adams), and Superman has gained both admirers and fervent detractors. Falling into the latter camp is Gotham City’s Batman/Bruce Wayne (Affleck), billionaire industrialist by day, ruthless vigilante by night. His butler Alfred (Irons) advises against taking rash action, but Batman is convinced that Superman’s power, if left unchecked, will lead to global annihilation. Also plotting to take down Superman, albeit for more selfish purposes, is young tech mogul Lex Luthor (Eisenberg). Luthor lobbies Kentucky senator June Finch (Hunter) to support his R&D efforts in developing a deterrent to use against Superman, while Finch calls for Superman to explain himself before the senate. In the meantime, Bruce’s curiosity is ignited by the presence of Wonder Woman/Diana Prince (Gadot), an elegant and capable warrior of yet-to-be-determined origin. 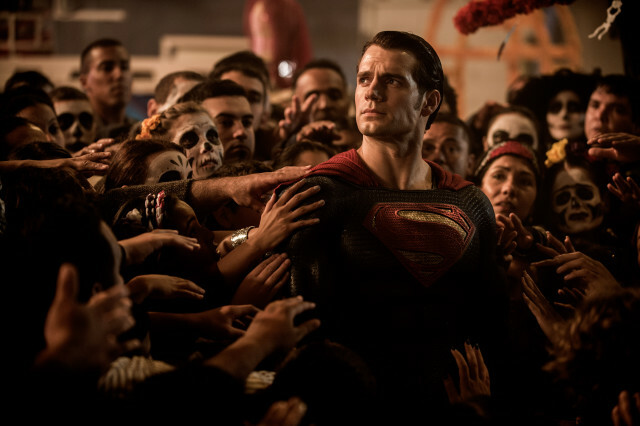 2013’s Man of Steel left critics and fans sharply divided, and it’s an understatement to say that this follow-up has quite the burden to bear. 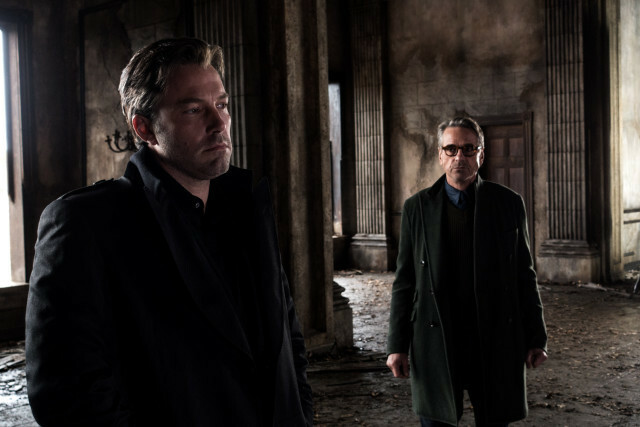 There’s no question that DC is playing catch-up to Marvel at the movies and there was the valid fear that Batman v Superman would be overstuffed to make up for lost ground. 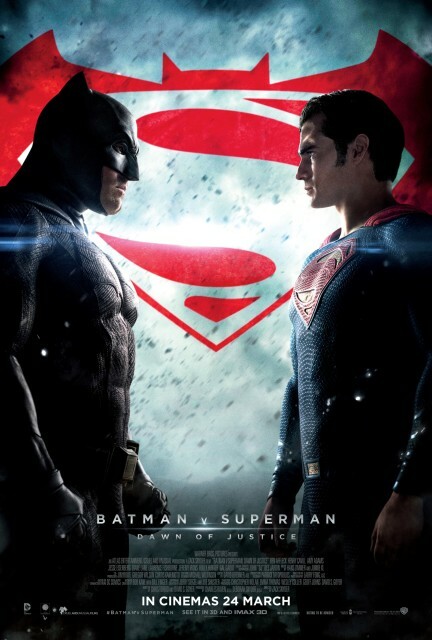 Batman v Superman does have apparent flaws, but a conscious effort is made to incorporate a substantive depth that the Marvel Cinematic Universe (MCU) doesn’t yet possess, outside of Netflix anyway. Character motivations make plenty of sense, conflicts are given context, major disagreements are not conveniently settled and the main criticism of Man of Steel, the wanton destruction caused or at least enabled by Superman, is directly addressed. Characters wax philosophical on the nature of god and man, the implications of nigh-unlimited power and notions of justice. This may come off as portentously logy to some, but to others, these are icons worth delving into. Much has been made of the film’s 152-minute running time. Structurally, it is front-loaded with plot, with the bulk of the action being slathered on thick towards the conclusion. This reviewer did not feel the film was too long, and the character development we get during the first two acts is very satisfying. 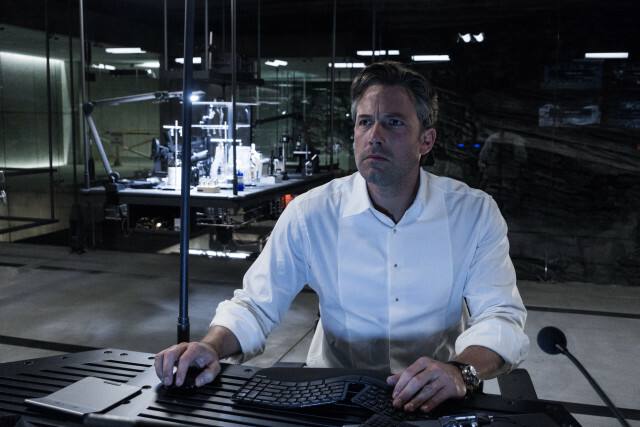 However, some audiences are bound to be fatigued and hard-pressed to care all that much about the climactic battles if they’ve already tuned out while Bruce is at the Batcomputer decrypting a hard drive. The Senator Finch subplot also proves largely extraneous. Full disclosure: this reviewer is a massive DC Comics fan and is able to appreciate director Zack Snyder’s interpretation of seminal imagery and plot points from the source material, most notably The Dark Knight Returns. Nothing in this film made us throw our hands up in the air, crying “they just don’t get it!” Because of the sheer breadth of these characters’ history in the comics, there’s no way to please everyone, and this reviewer found that the interpretations of Batman, Superman and Wonder Woman feel like they belong in the same cohesive universe. Any time Batman and Superman are in the same piece of media, the former is bound to steal the limelight from the latter. Affleck’s casting was controversial, with many deeming him insufficiently intimidating. This version of Batman is a grizzled veteran who’s 20 years into his crime-fighting career, employs a dazzling array of high-tech gadgets and is driven and obsessed. Good enough for us. Sure, he displays a sadistic streak, branding criminals with his bat insignia, but then again, Michael Keaton’s Batman shoved clowns into potholes, leaving them to explode as he grinned. There are references to allies and rogues, Batman’s relationship with Alfred gets sufficient play. Irons brings both the wry charm and the gumption to stand up to Batman that are integral to the Alfred character. The Bat-centric action sequences are strongly reminiscent of the recent Arkham video-game series, which this reviewer feels contained some of the best sequences of Batman in combat ever presented. Superman is variously referred to as a “god” and a “devil” and Cavill continues to dig for the humanity behind the iconography. 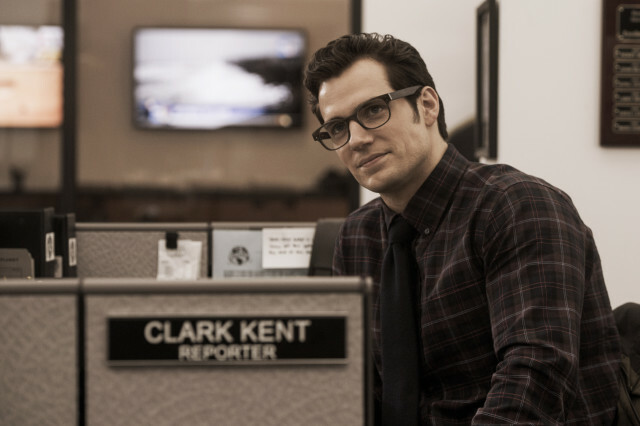 While he might lack the acting chops to flesh out a truly compelling Superman, particularly when pitted against Batman, it’s good to see Clark juggle the heroics and his reporter day job. There’s also the element of class warfare: Bruce is the scion of a wealthy family; Clark was raised on a farm in Kansas and works the daily grind as a journalist. There are some genuinely sweet moments that Cavill shares with Adams. While we do get to see Lois in the thick of it doing a good deal of snooping around, the main purpose the character serves is to get rescued and get rescued and get rescued. Lois had a significant role in the proceedings in Man of Steel, but is side-lined a little because of everything else occurring in the story here. Eisenberg’s performance is the biggest problem this reviewer has with the film. This is meant to be a reinvention of Lex, traditionally more of a quiet schemer type. Lex’s reworked back-story, which sees him as a young tech mogul who has reshaped his father’s aging company into a Silicon Valley power player, is just fine by this reviewer. Many of the character’s lines are clever and his actions and appropriately devious. However, Eisenberg’s twitchy jumpiness is unable to convey the deep-seated menace one of the most iconic DC supervillains should inherently possess. His words and actions are despicable enough, but his mannerisms diminish their impact. Wonder Woman’s presence here reminded this reviewer of Black Widow’s role in Iron Man 2. Since there’s so much already afoot, the character’s first big screen appearance is more of a pointer to her upcoming solo film, with several clever allusions to Diana’s roots in Greek mythology being included. The moves she busts during the final fight, her entry onto the battlefield heralded by Tina Guo’s rocking electric cello solo, are sure to elicit cheers. That’s the standout bit of Hans Zimmer and Junkie XL’s soundtrack for sure. Gadot does not have too much to do here, but her blend of mystique and strength fits Wonder Woman just fine. The product placement is toned down considerably from Man of Steel; the most obvious instance being when Wonder Woman boards a Turkish Airlines flight – a visible jet, if you will. Many were worried that that the film might spend too long setting up the upcoming Justice League movie, but it turns out that we get fleeting glimpses of the superhero team’s future members; said glimpses are tantalising and memorable. Just as the titular heroes grapple with each other, this film grapples with doing these iconic characters justice while serving up bombastic spectacle. It falters on several occasions, but this reviewer appreciates how the DCEU is setting itself apart from the MCU. The three-episode arc of Superman: The Animated Series in which Batman and Superman first meet does have far more of a focus than this film has, but this live-action event should not be written off lightly and we’ve got our fingers crossed for how the DCEU proceeds from here. 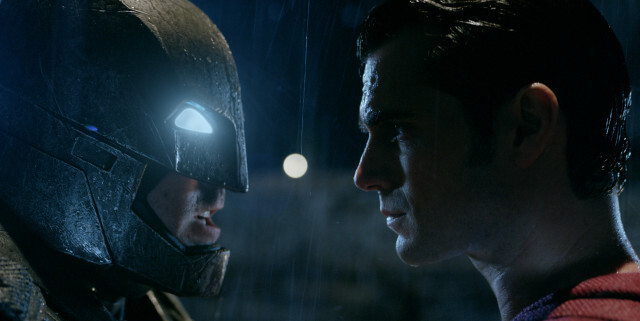 Summary:Packed with as much thematic pondering as super-powered fisticuffs, Batman v Superman might be a chore for some to sit through, but it’s clear the filmmakers have not taken this clash of titans lightly.